Readers, I am not knocking RDR2, which I’m happily sauntering through. I’m instead recognizing my limits as a tired father of two whose gaming time has been tight these last few weeks, and for whom the daylight savings time switch this week did his babies and himself few favors. 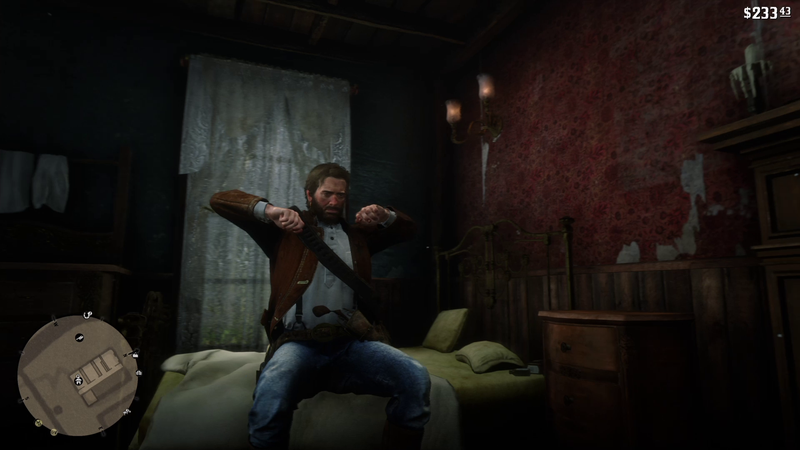 A couple of weeks ago, I conked out during a misadventure in Red Dead’s New Orleans-like St. Denis. When I woke up, I realized I had no idea how one of the sidequests I’d just done had ended. Had I played the last part of it in my sleep? Is that possible? Or had my brain just not saved my progress, even though my PS4 had, such that I then woke up on my couch further in the game but with no memory of how I got there? In any case, my eye-rest had left me invigorated, so I then played another hour into the game. The lost time bugged me, though. I couldn’t remember how that pre-slumber sidequest had ended. The next day, I loaded an old save just to play it again, but then switched back to my newer save to basically continue the true timeline of my game.